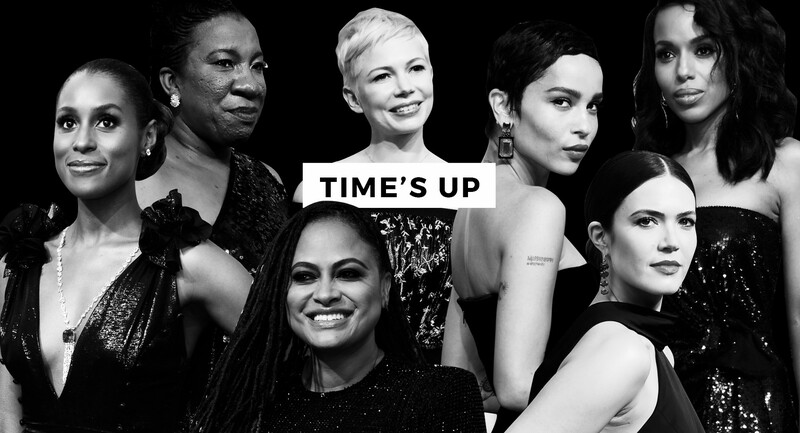 Pittsburgh, PA, January 30, 2018– The Media Chicks Network will host a closed panel discussion based on the recent events effecting women in the local media following the #MeToo and #Times Up movement. 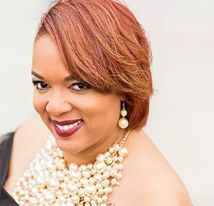 “The issues of inappropriate sexual misconduct, abuse, assault in addition to body shaming, unfair/unequal pay and gender discrimination are unacceptable and it’s time to speak out in hopes that our initiatives will help others to be thoroughly prepared for a future in the media”, LaKeisha “Ki Ki” Brown, veteran radio personality and Founder of the Media Chicks Network. 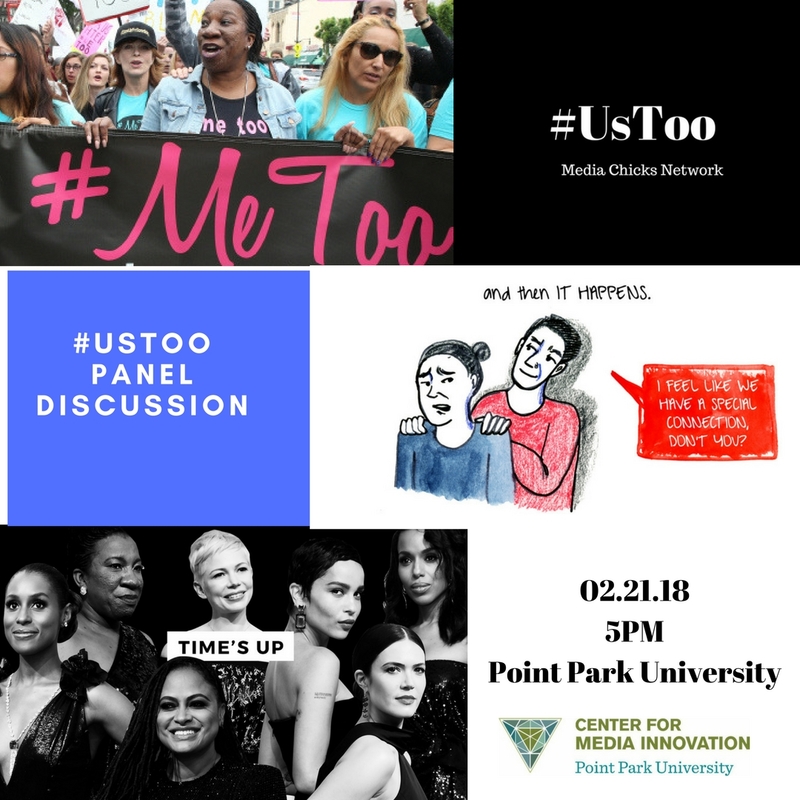 The panel discussion will host women in television, radio, print and production areas of the media and will be open to the student body of Point Park University at the Center for Media Innovation in Downtown, Pittsburgh. The time will be 5PM. This event is co-sponsored by the Center for Media Innovation, Pittsburgh Black Media Federation, PA Women’s Press Association, International Association of Business Communicators, and Public Relations Society of America. 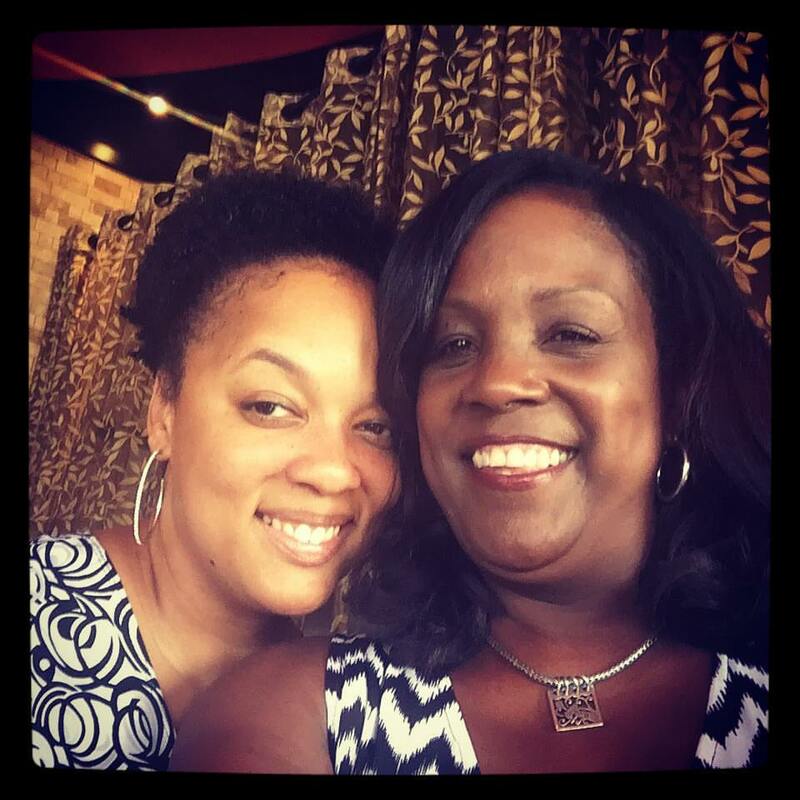 Media Chicks Network is a Facebook group with over 200 members of women who serve in the media from Washington, DC, Virginia, Maryland, Houston and Pennsylvania. 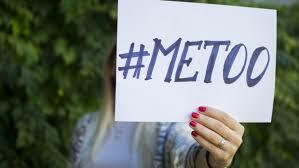 The group will host various events that range from panel discussions, self-defense classes, brunches, and fun activities to increase bonding opportunities for women in the media. Ever sit in the car, listening to your favorite singer or rapper (whatever you listen to) and imagine you’re them, live on stage, hitting all the notes and making all the facial expressions? Yeah! Me too! Jimma Fallon started something with the Tonight Show LipSync challenge! Then the phenom continued with the LipSync Challenge show, hosted by LL Cool J! That show is amazing! Celebs from film, television, music and everything else take the stage and live out their fantasies while performing a lipsync routine of their favorite songs; competing for the title of champion (I guess they get a trophy or money to a charity). That is what I thought about one day while driving home from work listening to Beyonce’s “Crazy In Love”. 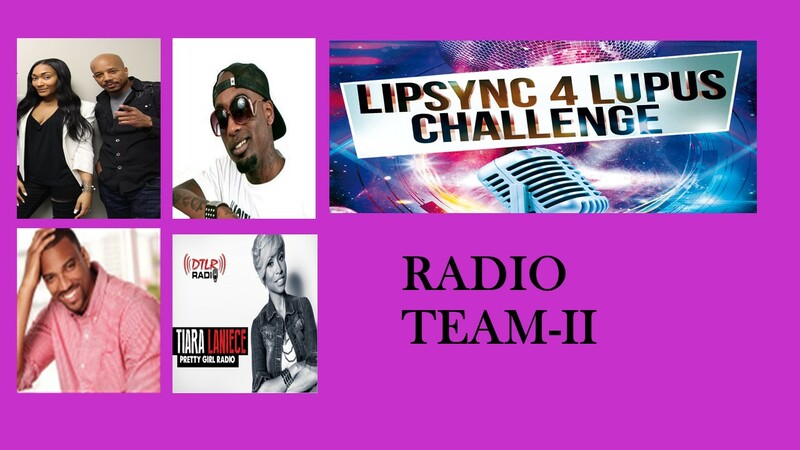 Why not have a lipsync challenge that benefits a very important charity? So I put some ideas together and contacted my good friend Vanessa Payne, who is currently living with lupus and has a foundation and event in support of Lupus Awareness. With no questions asked, LipSync 4 Lupus was born! We pitched the idea to Lupus Research Alliance and Bill Bateman’s Bistro and they were so excited to hear there will be an event to help raise money for research! 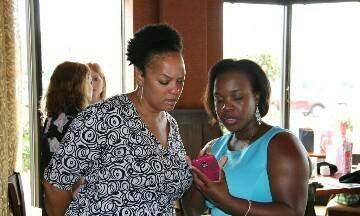 Bateman’s Bistro has agreed to donate 20% of everything sold that night (drinks/dinner) to Lupus Research Alliance. Awesome right? 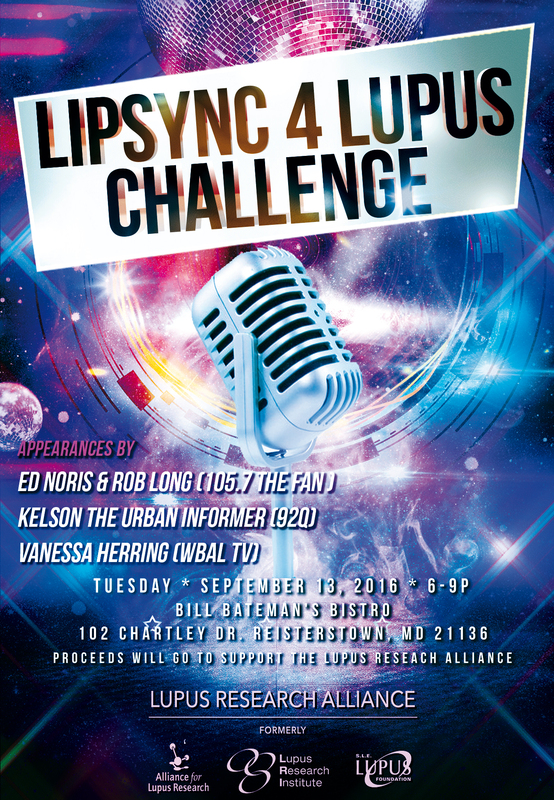 Baltimore news anchors and radio personalities have formed teams to perform some old school, new school and surprise routines on September 13th at Bill Bateman’s in Reisterstown from 6P to 9P. 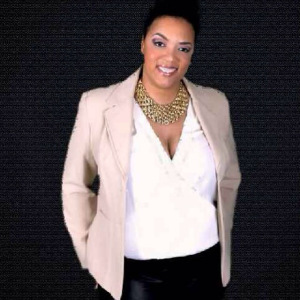 Talent like Patrice Sanders (FOX 45), Konan and Persia Nicole (92Q Jams), Gina & Greg (Today’s 101.9), Jammer Daniels (MIXX 106.5), Poet (WPGC) and more! Hosted by Scott Garceau (105.7 The Fan), Priestly (MIXX 106.5)! Join us on Tuesday, September 13th! 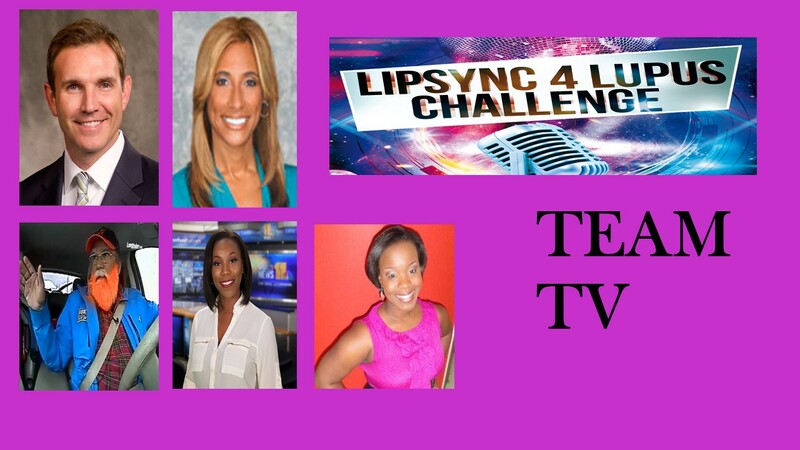 It’s for a great cause and some of your favorite news anchors will be taking the stage! I’ve always been one to support my fellow females in the media. If they’re traffic anchors, radio pesonalities, producers, television, newspaper (print), or social media, we all work hard and deserve the same amount of respect and support as anyone else in this industry. 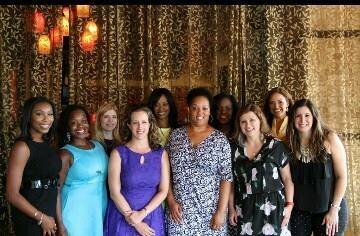 So, I figured why not show my ladies in the media (I call them Media Chicks) some love by inviting them to a private luncheon where we can share strories on how we got started, who motivates us, and so much more. In attendance were news anchors from WJZ and WMAR in Baltimore as well as WBAL TV, Radio One, TV One, Metro Traffic, Total Traffic & Weather, Radio One and CBS radio/TV. Sharing lunch with these women was an amazing experience not just for me but for anyone looking to start a career in the industry. I’ve received advice from news veteran Kelly Swoop (WMAR) and Ashley James (WMAR) about what to expect when starting a career in television. 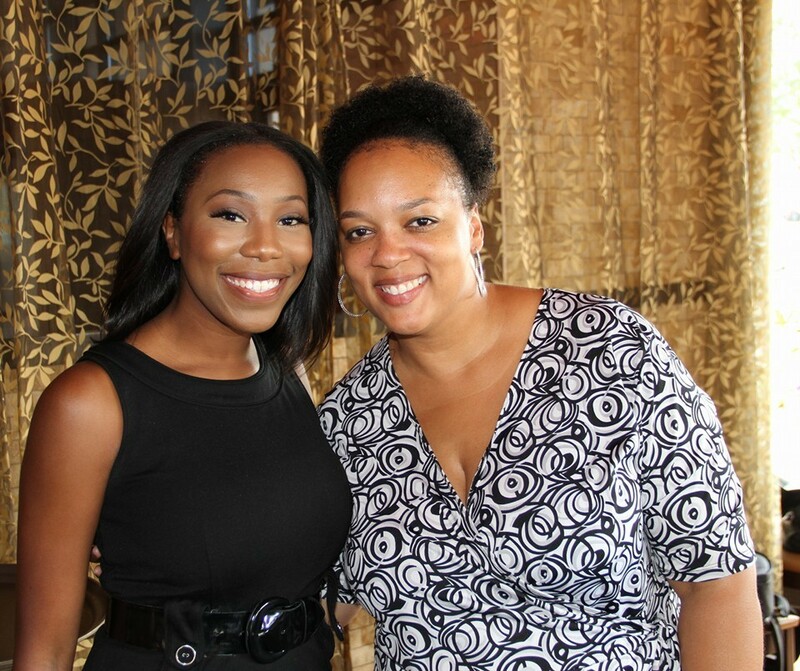 Nicki Mayo (TV One, Associated Press and President of Black Association of Black Journalists) helped me learn some pretty “bloat” appropriate poses when taking pics and wearing the right “newscaster wrap dress”. I’ve learned a lot that day and plan on doing activities like this one more often. I encourage you to do the same for others in your industry of choice. It helps get to know those you work with and learn more from them. It will help you gain a little more respect and figure out if this is where you really want to be. Salute to all the media chicks in the entire industry! You are appreciated! 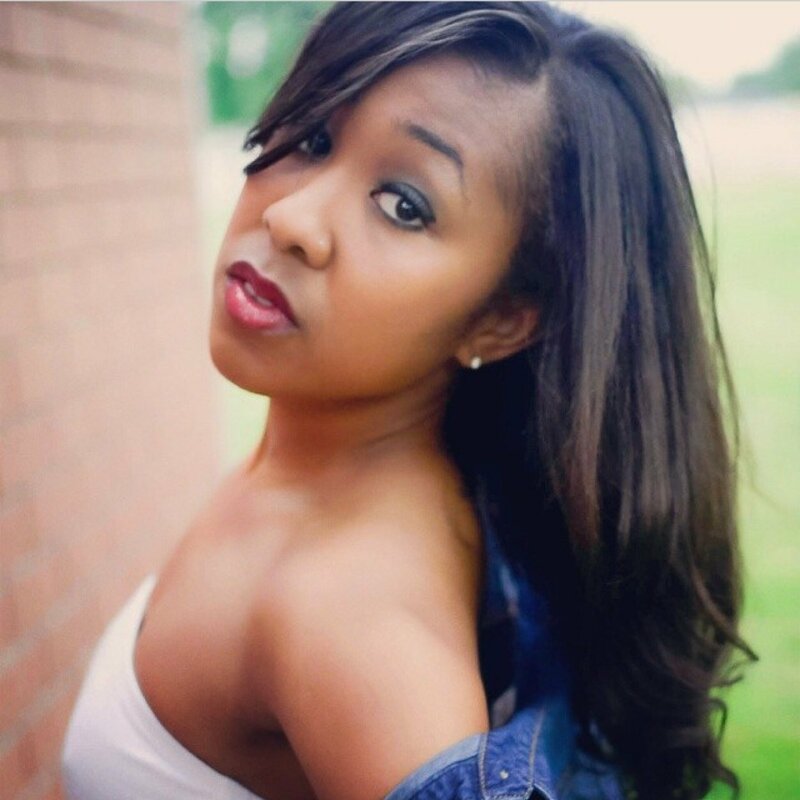 Kimia Workman entered a contest hosted by 92Q Jams (Baltimore) for a chance to host a portion of the Stone Soul festival and let me say SHE DID THAT! Kimia Workman, Sheffield Institute graduate and former intern for 92Q, showed up at Druid Hill Park on time, without an entourage, and ready to work! 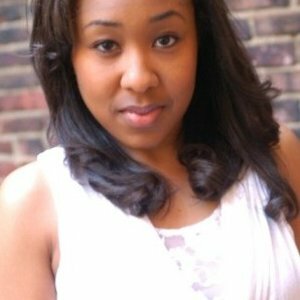 She did so well, she received an internship with 92Q Afternoon jock, Konan and worked as a board operator for Radio One, Baltimore. 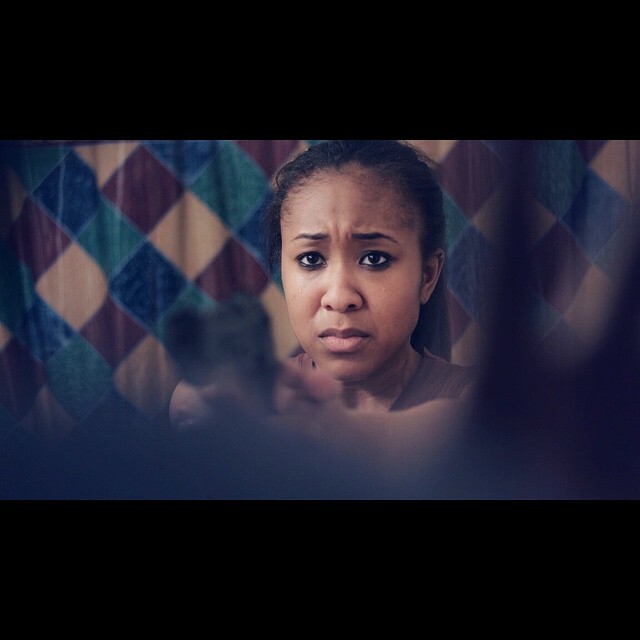 Her path has changed as she is now concentrating solely on becoming an actress; working in dramatic short films, stage plays and music videos. 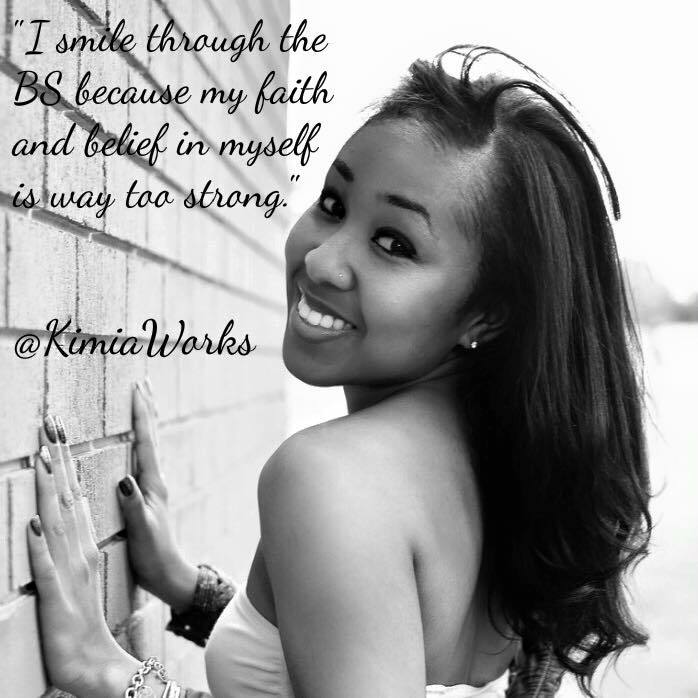 Kimia not only acts but she dances and models! She’s THAT CHICK! I can’t wait for that one day, I’m at a movie theater and I see my girl Kimmie on the screen featured as the main character or supporting actress in a major film! It’s going to happen! 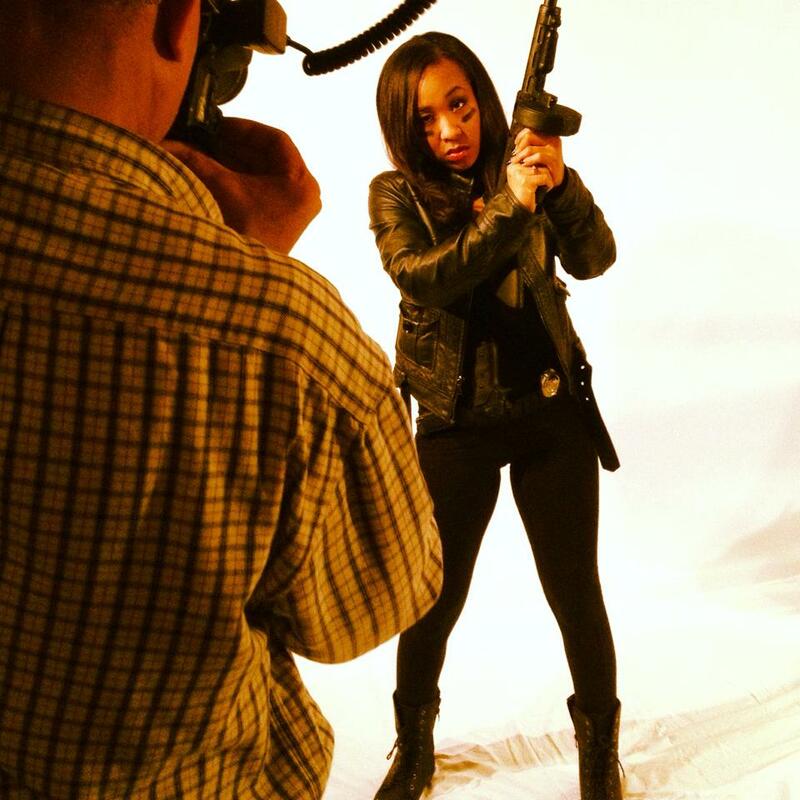 I’m praying a film director or producer is reading this because this chick is talented! How long have you been in the radio business? I studied communications/broadcast journalism at Morgan State University and went to Sheffield Institute for the Recording Arts. 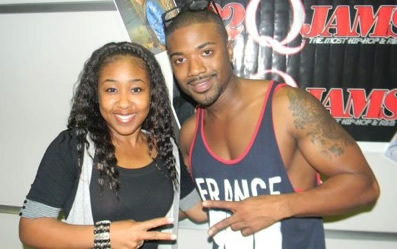 I’ve been working for Radio One since 2010, starting out as an intern. So professional, going on 5 years. How long were you in the television business? I’ve always wanted to do television. I first appeared on television with my internship in high school on The Educational Channel in Towson, Md. I then interned for ABC Channel 2 news while in college, had my own fitness tv show, and was an anchor on MSU TV News. What is more enjoyable/different? I really love them both. I didn’t think I would love radio the way I do. When I was growing up, people always said they could see me on TV. I never considered a career in radio until I won the K-Swift scholarship from 92Q to study at Sheffield. Would you say it’s hard to work with/for women in radio than it is to work with/for men? I think it is equally hard no matter who you work for. Entertainment in general is a cut throat business and you have to put your all in it and work hard at it if you want to succeed. Radio is no different. With the limited opportunities there are for men and women in radio, it’s even more paramount that you make an impact and significantly stand out no matter who you are working for or with. What do you think is the most challenging being a talent in your career? The most challenging I would say is trying to stay focused and understanding who your real friends are, who are really looking out for you, as opposed to the so called “haters” that are looking for you to fail. And of course, again, the opportunities are limited. Did you (or do you) have a mentor in radio? If so, who are they and what have they helped you on in reference to your career? I would say my first major mentor was Konan. I interned under him for months and really learned a lot. I always asked him so many questions about the business and he always gave me straight up answers. He has been in the business for years and still going strong so I will always look to him for advice. Others that I love watching progress and that have inspired and gave me advise, either through knowing them personally or just through social media are Free, Big Tigger, Tom Joyner, Kiki Brown, April Watts, Angie Ange, Deja Perez, Porkchop, Producer Frenchy, DJ Kei Touch, Ron Thompson, and Angela Yee just to name a few. 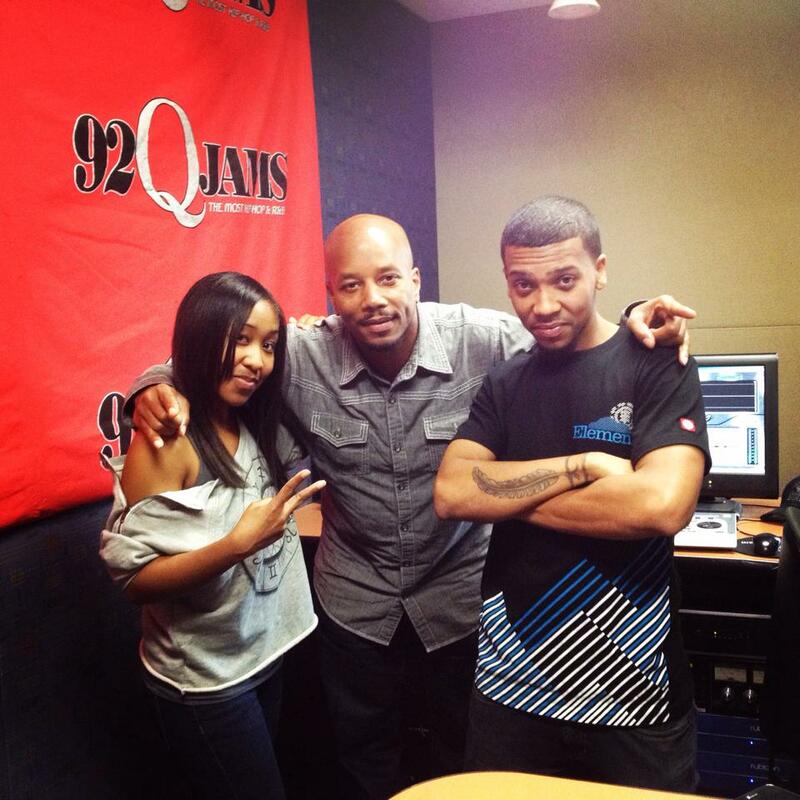 Also music director Tayla Johnson and Radio One Baltimore Operations Manager, Al Payne have been a pivotal part in starting my on air career here at 92Q. What was it about radio that struck your interest? I think it was the impact that you can make on people and the fun you have. I have never enjoyed a job this much ever. Radio has a way of transforming society and communicating with people in a different way. It is a very powerful medium that influences our culture, and overall, I just love entertaining. What makes a good radio talent? I would say you definitely have to have a great personality that attracts people. Also, attentiveness to details, the ability to adapt in a fast paced environment, adapt to changes at any given moment, interacting with listeners, focus, leading your community, and investing yourself in making an impact. Being a personality is not just being on air, you have to be on all the time, just like famous celebrities. You never know who may be watching. How do you respond to women in the media who become out of touch from those trying to reach that particular level of success? The main thing to do is to never let anyone tell you you can’t do something. If you have a strong desire to accomplish something, nothing should get in your way. There are going to be obstacles along the way, but that is just to test you to see how serious you really are. Stand strong, stay focused, and get the mentality that “you can’t” out of your head. Have you ever been fired? How did you bounce back? I have been fired from a job before. It wasn’t my fault, but my first reaction was to stay calm and know that everything happens for a reason. I knew that either that job just wasn’t for me, or something better was going to come along. What genre of music do you like to listen to the most and why? I love hip hop, old school/classic hip hop, rnb, pop, club, reggae, and sometimes jazz depending on what mood I’m in. What is your LET IT GO song? (one that you would absolutely lose your mind listening to) LOL, Even though I could dance to anything, having a background in dance and choreography, I would have to say, although people may think I’m crazy, the thun thun song. It’s by Finatticz called Don’t Drop That Thun Thun Thun. It’s so wrong but the beat is hard. You’ve interviewed a lot of celebrities, was there ever a time you had an uncomfortable celebrity interview where it went terribly wrong? Describe. It’s funny I was just starting out and got my first opportunity to interview major celebrities at the Stone Soul Picnic. One of them was Bobby V. He made some type of comment and we were recording it on camera and I had to play it off like please you probably say that to all the girls, then went right into the next question. LOL I was stumped at first, but played it like a professional. Who was the best celebrity encounter and why? I would say Tom Joyner. He is such a nice and genuine person. You can even tell when he’s on the air. He’s very down to earth and was a pleasure to meet. What’s the biggest misconception about you? Before people meet me, they think I am snobby or stuck up because of the way I look. I had several times people told me that when I met them, and then they would say wow you’re mad cool. Why don’t people get about music when it comes to radio? People get mad when radio stations play the same thing over and over. I think they don’t understand that the radio industry is higher than the personalities you hear. We have to follow certain formats and play certain songs, which does in fact hinder the creativity of the craft. Who do you most admire in the radio industry and why? I admire any and every professional out here hustling, grinding, and just doing their thing. I know what it takes from everything I’ve been through and I haven’t even reached the top of my goal sheet yet. Just to make it, doing what you love to do is admirable. What was the best advice anyone ever gave you? David E Talbert said “talent gets you far, but grind and drive gets you further.” I’ve always liked that quote. 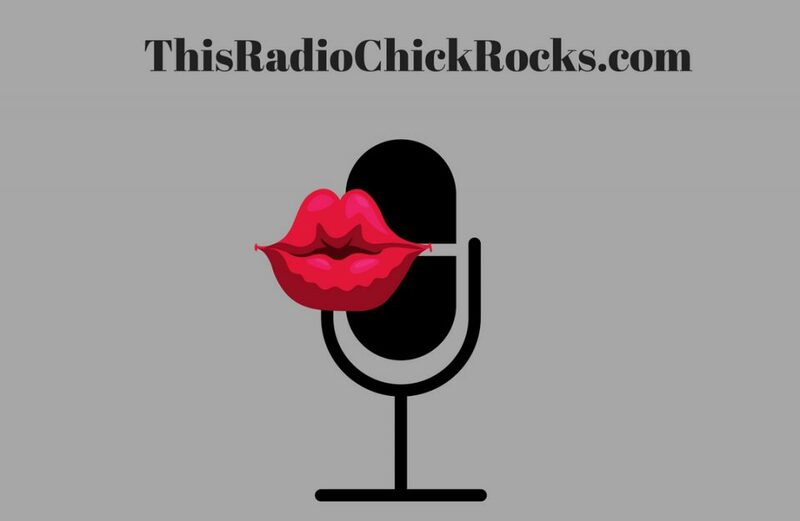 What’s the biggest misconception about women in radio? Not only in radio, but just in general, that we have it easy. That we can sleep our way to the top. Every time a successful woman makes it big, it’s “Who did she have to sleep with to get that.” It’s a huge misconception, we work just as hard, if not harder, than the men to get to where we want to be.I’m not saying that that doesn’t happen, but it is one misconception. 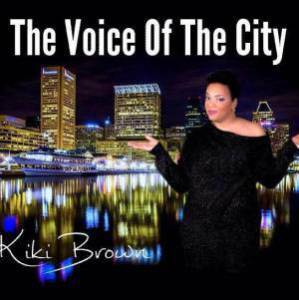 Where do you see urban radio in the next 10-15 years? Technology is changing, everything is changing. There’s definitely a lot more competition than there was years ago with pod casts, internet radio, Pandora, iTunes, etc. So wherever it will be, it will definitely be more digitized than ever before. 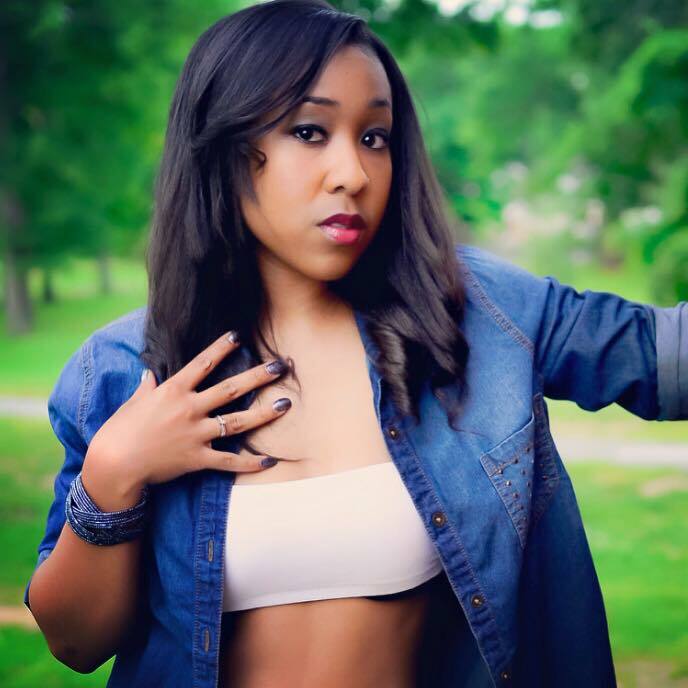 What do you think is wrong, if you do, with hip hop and R&B? I could get deep into that, lol. Really, I just think the music industry is all about money; maybe not so much talent. There are lots of artists out here with mad talent, but then there are ones that got put on because of the dollar amount. Many of the really talented artists, you may never even hear. Songs, just as television have the tendency to influence our youth, and some songs send out the wrong message. But at the end of the day, it’s entertainment and people are going to love it or hate it. Who do you think is the most under appreciated artist out there right now? Oh soooo many artists are under appreciated. Older artists that we heard on the radio years ago, some that you hear on the radio, and some that we never even hear on the radio. It would hard just to name one. Who’s in your iPod/radar? I like a mixture of music. Right now I have August Alsina, Teyana Taylor, TI, Drake, Jhene Aiko, Childish Gambino, School Boy Q, Warren G, Wu-Tang Clan, Yo Gotti, 2 Pac, Prince, Kid Ink, Lyrica Anderson, Aaliyah along with others. What do you want your legacy to be? I want to be an inspiration to not only kids, but even adults who never got the chance to live their dream. There are many situations and obstacles that stop people from chasing after what they really want. I want to be known for making it, living my dream, creating positive movements, and helping/supporting others to do the same thing. If you could give advice to someone wanting to be a radio personality, what would you say? I would say just like what I was told “Talent gets you far but grind and hustle gets you further.” You might have talent, but if you not out their grinding, hustling, and doing something toward your goal everyday, don’t except to get far. You can’t expect any handouts. You want something, you have to go out there and get it. You think going to school is going to enhance your skills, go to school, learn the business, learn the craft, make connections…networking is soooo important. Also, get advice from other professionals, watch what they are doing, and start building a brand. Biggest regret is…. Probably not moving to New York when I had the opportunity to. But like I said, everything happens for a reason.